Draft: 2012, Los Angeles Dodgers, 25th rd. Is married to Lauren… last name is pronounced "KOO-lohm"… pitched at the University of Southern California for one year (2009) and South Mountain Community College for a year (2010) before transferring to Texas Tech, where he took a medical redshirt (2011) while recovering from "Tommy John" surgery and pitched one season (2012)… graduated from Chaparral H.S. (Ariz.), where he was named the 2008 4A State Player of the Year, a Louisville Slugger All-American, an ABCA/Rawlings Third-Team All-American and a Baseball America Third-Team All- American… was selected by the Dodgers in the 17th round of the 2008 First-Year Player Draft but did not sign. Made his second career and consecutive Opening Day roster, going 1-1 with a 4.56 ERA (23.2IP, 24H, 13R/12ER, 11BB, 26K, 5HR) in 27 appearances over four stints with Oakland (3/27-4/20, 4/27-6/13, 6/22, 9/1- 3)… opponents hit .279 (24-for-86); LH .317 (13-for-41), RH .244 (11-for-45)… was designated for assignment on 9/3 and outrighted on 9/5… also pitched 23 games (one start) for Triple-A Nashville, where he posted a 2-1 record with a 2.54 ERA (28.1IP, 8ER)… made the first start of his professional career on 8/26 at Memphis (2.0IP, 2H, 1BB, 1K). 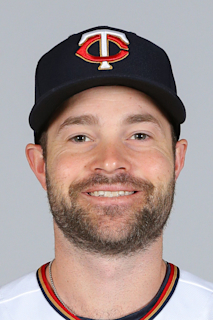 Made a team-leading 72 appearances in his first full season in the majors and was 2-2 with a 3.48 ERA and .240 opponents batting average…ranked fifth in the American League in games pitched…tossed just 51.2 innings as he pitched fewer than one inning in 42 of his 72 appearances…averaged 12.6 pitches per game, which was fourth lowest among AL relievers…had a 1.78 ERA and .198 opponents batting average over his first 31 games through June 24…then logged a 5.13 ERA and .277 opponents batting average over his final 41 contests…his opponents batting average broke down to .214 (22-for-103) against left-handed hitters compared to .270 (24-for89) against right-handers…surrendered three of his four home runs to righties…had a .596 OPS against lefties, .851 against righties…has allowed nine of his 11 career home runs to righties for a .788 OPS (.585 vs. lefties)…allowed 15-of-49 (30.6%) inherited runners to score and had the seventh most inherited runners in the AL…first batters faced hit .238 but he walked eight and hit one for a .333 on-base percentage…the first batter walks tied for fifth most in the AL…went 2-0 with a 2.25 ERA at home, 0-2 with a 5.49 ERA on the road…had a 6.52 ERA in the Coliseum entering the season…compiled a 2.29 ERA during the day, 4.22 at night…now has a 3.53 ERA (17 er in 43.1 ip) in 49 career day games compared to 4.60 (39 er in 76.1 ip) in 77 contests at night…had a 1.38 ERA in 18 games on no days rest, a 4.19 ERA in his other 54 games…has a career ERA of 2.08 (5 er in 21.2 ip) on no days rest, 4.68 (51 er in 98.0 ip) on one day of rest or more…logged a 9.95 ERA in the ninth inning or later, a 2.58 ERA in the eighth inning or earlier…held opponents to a .128 batting average with two strikes and has a .152 career average in that situation…opponents were 2-for-6 (33.3%) in stolen base attempts…had the second most caught stealings among AL relievers and the fifth lowest stolen base percentage. OAKLAND: Tossed a season-high 2.0 scoreless innings in his first outing April 5 against Los Angeles (AL)…did not allow an earned run in 19 of 20 games from May 9 to June 24 for a 0.63 ERA and .114 opponents batting average…allowed just 3-of-18 (16.7%) inherited runners to score in 11 games in May…then had a 0.84 ERA and .176 opponents batting average in 12 appearances in June…matched his season-high with 2.0 innings pitched June 28 at Houston…that started a four-game stretch where he allowed five runs in 4.2 innings (9.64 ERA)…struck out a season-high three batters July 2 against Atlanta…had a career-best 11-game, 7.0-inning scoreless streak from July 9 to Aug. 2…capped the streak with his 100th career appearance Aug. 2 at San Francisco…induced the only batter he faced (Panik) to ground into an inning ending double play in the eighth inning of the A's 6-1 win…then walked all three batters he faced in his next outing Aug. 4 at Los Angeles (AL)…the three walks are a career high and all three scored as he took the loss in an 8-6 decision…that started a 17-game stretch from through Sept. 5 when he allowed 10 runs on 10 hits and seven walks for an 8.71 ERA…yielded a career-high five hits and a season-high tying three runs (third time) in one inning of work Aug. 12 against Baltimore…logged a 9.00 ERA in 14 appearances in August…tossed fewer than one inning in eight consecutive outings from Sept. 8 to 26 (3.1 ip, 4 h, 4 bb, 2 so)…did not allow a run over his final nine outings and 4.1 innings beginning on Sept. 8. Was 3-1 with a 4.53 ERA and .216 opponents batting average in 35 games over five stints with the A's…had just 19 career appearances over his first two seasons in the majors…struck out 54 batters in 47.2 innings (10.20 per nine innings) and now has 69 strikeouts in 68.0 career innings (9.13 per nine innings)…his opponents average included a .208 (20-for-96) mark by right-handed hitters compared to .227 (17-for-75) by left-handers…allowed five of his six home runs and issued 14 of his 17 walks to righties…had a .557 OPS against lefties, .692 against righties…his career OPS splits are .574 against lefties, .749 against righties…first batters faced hit .156 with two walks (.200 on-base percentage) and a double (.188 slugging percentage)…has a .163 (8-for-49) average against first batters in his career…allowed 3-of-12 (25.0%) inherited runners to score…had a .255 opponents average over his first 15 pitches in a game, .148 after that…opponents hit .317 with runners in scoring position and he has a .329 (23-for-70) opponents average with RISP in his career…had a 6.49 ERA and .265 opponents batting average in 19 games in Oakland compared to a 2.11 ERA and .145 opponents average in 16 contests on the road…now has a 6.52 ERA (21 er in 29.0 ip) in 22 career appearances in the Coliseum…allowed a .116 batting average with two strikes and a .143 average with two outs…the opponents number three hitter was 1-for-15 (.067)…combined for an 8.50 ERA in the fifth and sixth innings…had a 1.69 ERA in the seventh through ninth innings…compiled a 1.80 ERA in six interleague appearances and now has a 1.74 ERA (2 er in 10.1 ip) in seven career interleague outings. April 12, 2019 Scranton/Wilkes-Barre RailRiders placed LHP Danny Coulombe on the 7-day injured list. December 21, 2018 LHP Danny Coulombe assigned to Scranton/Wilkes-Barre RailRiders. December 20, 2018 New York Yankees signed free agent LHP Danny Coulombe to a minor league contract and invited him to spring training. October 2, 2018 LHP Danny Coulombe elected free agency. September 5, 2018 Oakland Athletics sent Danny Coulombe outright to Nashville Sounds. September 3, 2018 Oakland Athletics designated LHP Danny Coulombe for assignment. September 1, 2018 Oakland Athletics recalled LHP Danny Coulombe from Nashville Sounds. June 23, 2018 Oakland Athletics optioned LHP Danny Coulombe to Nashville Sounds. June 22, 2018 Oakland Athletics recalled Danny Coulombe from Nashville Sounds. June 14, 2018 Oakland Athletics optioned LHP Danny Coulombe to Nashville Sounds. April 27, 2018 Oakland Athletics recalled Danny Coulombe from Nashville Sounds. April 20, 2018 Oakland Athletics optioned LHP Danny Coulombe to Nashville Sounds. July 19, 2016 Oakland Athletics recalled LHP Daniel Coulombe from Nashville Sounds. July 4, 2016 Oakland Athletics optioned LHP Daniel Coulombe to Nashville Sounds. June 30, 2016 Oakland Athletics recalled Daniel Coulombe from Nashville Sounds. June 21, 2016 Oakland Athletics optioned Daniel Coulombe to Nashville Sounds. June 20, 2016 Oakland Athletics optioned LHP Daniel Coulombe to Nashville Sounds. June 4, 2016 Oakland Athletics recalled Daniel Coulombe from Nashville Sounds. May 25, 2016 Oakland Athletics optioned LHP Daniel Coulombe to Nashville Sounds. May 22, 2016 Oakland Athletics recalled Daniel Coulombe from Nashville Sounds. May 11, 2016 Oakland Athletics optioned LHP Daniel Coulombe to Nashville Sounds. May 10, 2016 Oakland Athletics selected the contract of Daniel Coulombe from Nashville Sounds. December 2, 2015 Oakland Athletics sent LHP Daniel Coulombe outright to Nashville Sounds. November 25, 2015 Oakland Athletics designated Daniel Coulombe for assignment. September 10, 2015 Los Angeles Dodgers traded LHP Daniel Coulombe to Oakland Athletics for cash. September 6, 2015 Los Angeles Dodgers designated LHP Daniel Coulombe for assignment. July 6, 2015 Los Angeles Dodgers optioned LHP Daniel Coulombe to Oklahoma City Dodgers. July 5, 2015 Los Angeles Dodgers recalled Daniel Coulombe from Oklahoma City Dodgers. June 22, 2015 Los Angeles Dodgers optioned LHP Daniel Coulombe to Oklahoma City Dodgers. June 18, 2015 Los Angeles Dodgers recalled Daniel Coulombe from Oklahoma City Dodgers. June 5, 2015 Los Angeles Dodgers optioned LHP Daniel Coulombe to Oklahoma City Dodgers. June 2, 2015 Los Angeles Dodgers recalled Daniel Coulombe from Oklahoma City Dodgers. May 15, 2015 Los Angeles Dodgers optioned LHP Daniel Coulombe to Oklahoma City Dodgers. May 14, 2015 Los Angeles Dodgers recalled Daniel Coulombe from Oklahoma City Dodgers. May 6, 2015 Los Angeles Dodgers optioned LHP Daniel Coulombe to Oklahoma City Dodgers. May 4, 2015 Los Angeles Dodgers recalled Daniel Coulombe from Oklahoma City Dodgers. March 24, 2015 Los Angeles Dodgers optioned LHP Daniel Coulombe to Oklahoma City Dodgers. October 23, 2014 Glendale Desert Dogs reassigned LHP Daniel Coulombe to the minor leagues. October 13, 2014 Daniel Coulombe roster status changed by Los Angeles Dodgers. October 3, 2014 Los Angeles Dodgers reassigned LHP Daniel Coulombe to the minor leagues. October 1, 2014 LHP Daniel Coulombe assigned to Glendale Desert Dogs. September 16, 2014 Los Angeles Dodgers selected the contract of LHP Daniel Coulombe from Chattanooga Lookouts. July 15, 2014 LHP Daniel Coulombe assigned to Chattanooga Lookouts from Rancho Cucamonga Quakes. March 11, 2014 LHP Daniel Coulombe assigned to Los Angeles Dodgers. October 31, 2013 LHP Daniel Coulombe assigned to Indios de Mayaguez. April 2, 2013 LHP Daniel Coulombe assigned to Rancho Cucamonga Quakes from Great Lakes Loons. July 2, 2012 Daniel Coulombe assigned to Great Lakes Loons from Ogden Raptors. June 17, 2012 Daniel Coulombe assigned to Ogden Raptors from Los Angeles Dodgers. June 15, 2012 Los Angeles Dodgers signed LHP Daniel Coulombe.